4k00:25Autumn landscape. Autumn tree leaves sky background. 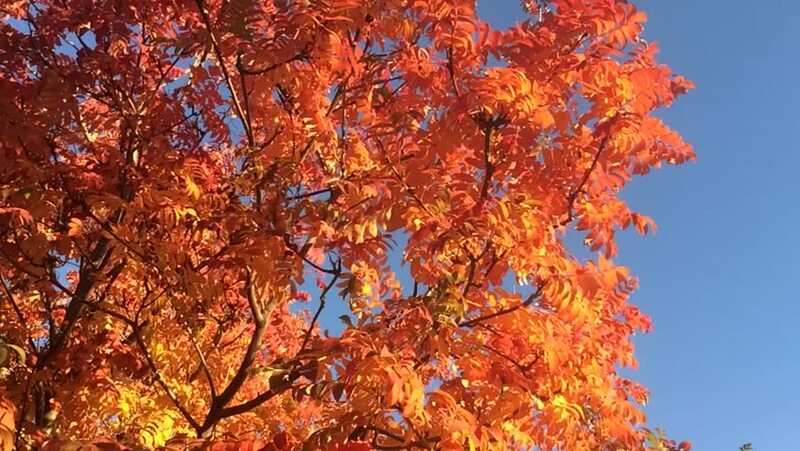 hd00:10Colorful red leaves on the tree in autumn against blue sky. hd00:14Strong orange-red colors of larch needles in the early autumn. 4k00:20Yellow and Gold Leaves in Autumn. hd00:18Beautiful orange-red tree crown of larch.